No. 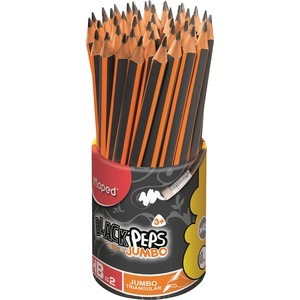 2 pencil features an ergonomic, triangular grip that guides finger placement to help young learners write more comfortably. Thick, break-resistant lead helps prevent breakage from pressure to keep writers from frequently having to resharpen their pencil. Premium Elmwood construction is durable and allows clean, easy sharpening. Latex-free eraser removes marks with minimal pressure for a smudge-free, tear-free erasing.